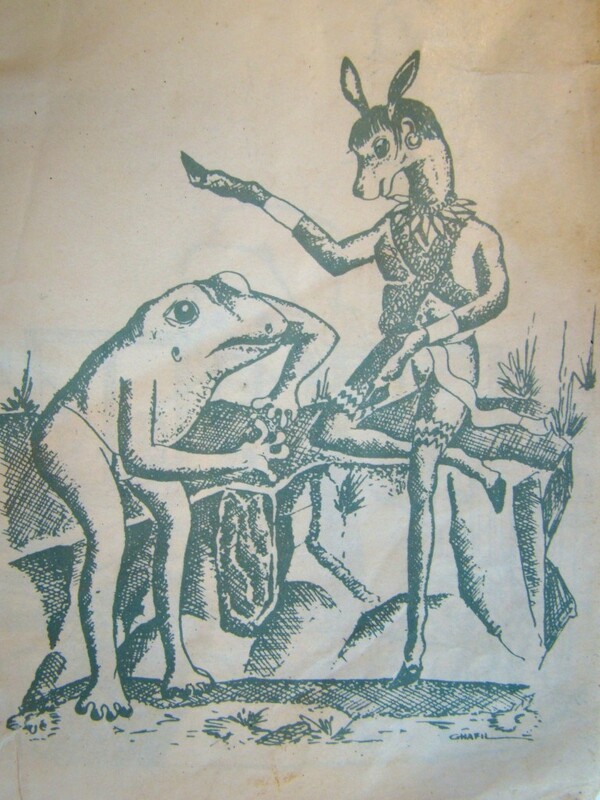 Frogs and conservation are part of many traditions and cultures. 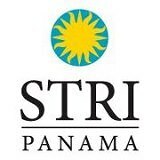 If you follow this blog, you know that a group of zoos, governmental and nongovernmental organizations motivated by and concerned about the current crisis facing amphibians started this project to rescue and conserve some of the most endangered frog species in eastern Panama. It is easy to understand what motivates a scientist, a veterinarian, a zookeeper or an environmentalist to conserve a species, but we often forget that there are people whose cultures are based on the respect for nature, conservation of many species and the dissemination of this knowledge through the generations. One of the rescue project's frog keepers, Lanky Cheucarama, carves these beautiful frog tagua nuts. Can you tell which is real and which is fake? Lanky Cheucarama is Wounaan and one of the keepers at Summit Zoo for the Panama Amphibian Rescue and Conservation Project. The Wounaans are one of seven ethnic groups found in Panama and they occupied the eastern region of Panama (the Darien) and the Chocó region in Colombia. Its inhabitants are principally engaged in the sale of hand-made crafts. Baskets woven by women and carved wood and tagua (vegetable ivory) by men are some of the products offered to tourists who visit the Wounaans. Lanky began tagua carving at the age of 12, taught by his father Chafil and uncle Selerino, two of the most outstanding artists in their community. 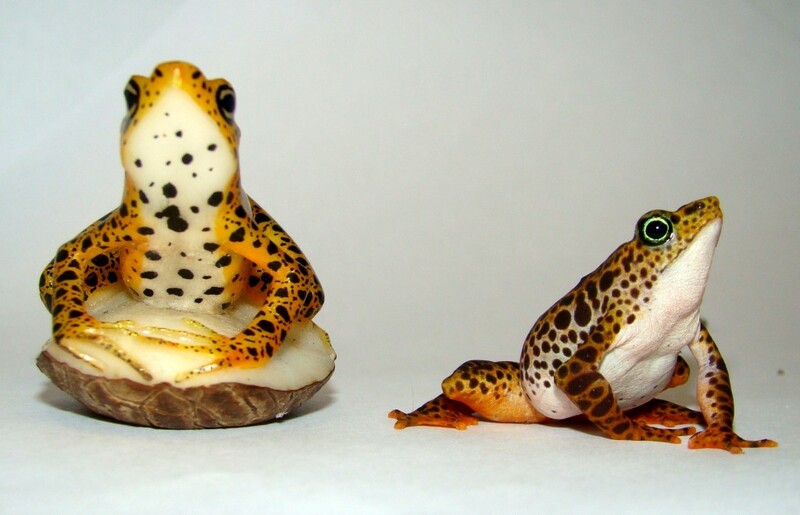 Frogs are among the most common animals carved in tagua and take between three days (for the simple ones) and up to one week (for the most elaborate tagua) to carve. Lanky’s hand-carved tagua nuts are modeled after the frogs in the rescue project and available for sale here (proceeds support the rescue project). For many indigenous communities in Central and South America, frogs have played an important role within their cultures. It is well know that some dart frog’s poison was used to hunt animals and was even used in weapons during fights with other indigenous groups. K’up’uur (frog, in wounaan language) is found in dances, songs, fables, art, medicine and other rites. This is why we know how important they are for this group. Here at Summit Zoo, we always learn something new about Lanky’s culture and some of our team members and volunteers have been lucky to visit and meet his community and his family. It’s interesting to realize how even though we have come from different backgrounds; we all have the same interest: to protect and preserve what nature has to offer. By learning from each other and sharing our knowledge, we are able to save frogs and many other endangered species. Purchase one of Lanky’s beautiful hand-carved tagua nuts modeled after the rescue project’s frogs here (proceeds support the rescue project). *This is a story told to the children in Lanky’s community.